What happens to the Æmber on an enemy creature when it leaves play? When a creature with Æmber on it leaves play, the Æmber is always placed in the opponent’s Æmber pool, regardless where that Æmber came from. 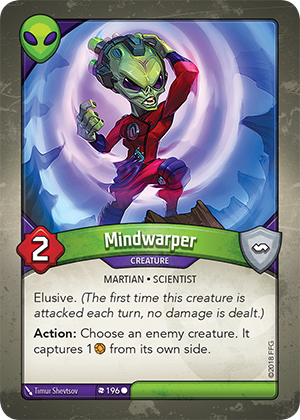 Effectively, Mindwarper’s “Action:” ability functions like a delayed steal.